It’s Valentine’s Day and Madame Odius wants Venoma to use her special power on human teens or she will kill her. Venoma agrees to seduce the Rangers into giving up their Power Stars in exchange for her freedom. Victor wants Monty to shoot Sandy… with an arrow so he can ask her to the dance. Victor decides to bribe her as well so she says she’d rather go alone than go with Victor. Preston overhears Victor repeat Sandy wanting to go alone so he is now discouraged from asking her. At the park, Calvin goes to throw Kody’s poop away while Hayley asks Preston how it went with Sandy. He tells her about overhearing Victor, but Haley tells him not to believe anything Victor says. She encourages him to ask Sandy who walks by. Preston runs over to her, but Venoma flies in and shoots Sandy. He takes her to safety while Venoma introduces herself to the other Rangers. She shoots Brody with an arrow and he falls in love with Venoma. Hayley and Sarah try to hold him back even though he wants to touch her antenna and silky wings. Hayley takes Brody to safety as Sarah, Calvin and Levi morph. Preston joins them, but Venoma manages to shoot Calvin and Levi anyway. Sarah and Preston take them to safety. Mick meets the Rangers back at the command shop as the lovesick boys make presents for Venoma. While they try to figure out a cure, Preston gets a text from Sandy wanting to meet. Preston finds Sandy and she asks him to the dance. But Preston remembers she was hit with a love arrow so he has to decline. He says “it just wouldn’t be right.” That upsets Sandy and she runs off. Hayley comes to check on Preston and he tells her what happened. She’s sorry about the sucky situation. But Preston looks inside Sandy’s bag and sees the arrow hit a book! She isn’t under Venoma’s love spell! Mick calls them back to the command shop. But Brody, Calvin and Levi manage to escape. The Rangers split up to find them and they take Mick and Redbot’s new creation to help protect them from the arrows. 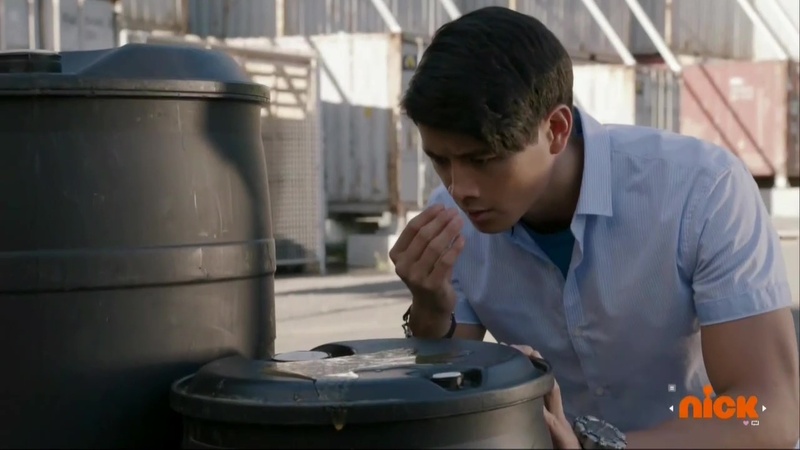 Preston sees strange goop on a barrel and decides to sniff it. It’s honey! And Venoma is right behind him. Preston morphs and they battle. She manages to shoot an arrow at him. He runs over to hug her and she asks for his Power Star. Preston strokes her arm and then pulls her last arrow out of it. He actually wasn’t under her spell since the armor protected him. Brody, Calvin and Levi are immediately broken free of the spell. Hayley and Sarah find them and they hurry over to help Preston. Venoma shoots at Preston with regular arrows and he morphs. He delivers a Final Attack at her and she explodes. Cosmo Royale activates a Gigantify. The other Rangers arrive in the Blaze Zords. 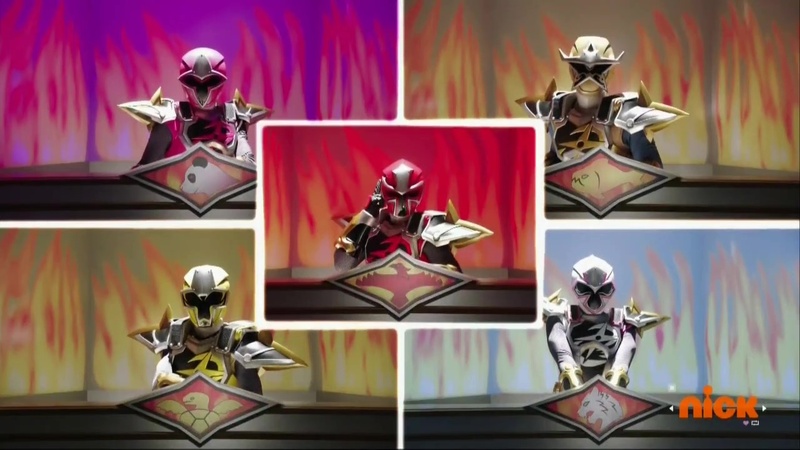 Preston hops into his and they combine into Ninja Blaze Megazord to finish Venoma off for good with a Ranger Blast. Later, Preston goes to Sandy and he explains that he really likes her and wants to go to the dance with her. She hugs him and says yes. Another filler episode, but it was alright. A nice Preston-focus. The plot certainly didn’t break new ground, but it was enjoyable enough. Of course it’s random to get a Valentine’s Day episode in September (and we know why that is), but it’s nice to have these non-Halloween and non-Christmas holiday episodes on Power Rangers. We rarely do get them. I’m kind of anxious to get Madame Odius’ endgame up and running by now. We still have ten episodes, but things have been kind of boring and not threatening. (Other than the anniversary episode of course.) So hopefully they can get that started soon. I was really thrown off by the dubbing this episode. 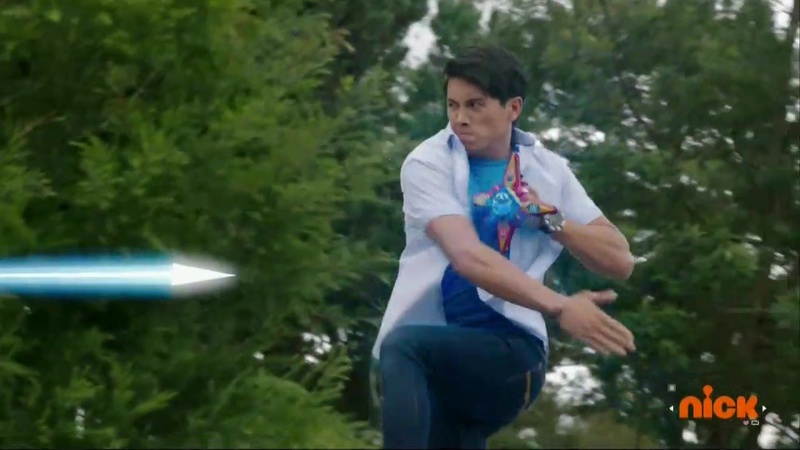 Saban Brands Era dubbing has always been poor. (See the horrible dubbing of Rene Naufahu’s voice in Samurai.) But this episode was probably the most obviously poor since then. Horrible sound. And there were even moments when you heard Rangers speaking without their mouths moving. It was bad. Anyway, overall this was an okay, though relatively enjoyable filler episode. I wonder who Brody was going to the dance with though. Didn’t he say he had a date? Yeah he did I wasn’t for sure who. Yeah it sure would I can tell that Sarah was jealous and heartbroken. Though this episode was simple, it’s got some clever plot-twists, like when Preston thought that Sandy was under the love spell, and then found out the arrow hit the book and not her, or when Preston had hidden an iron plate under his shirt to protect himself from the Love Arrows. Oh, and the Blaze Zords’ cockpits look amazing.